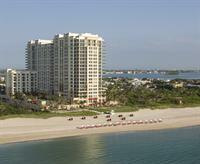 Visit the ONLY All Suite beachfront hotel in Palm Beach County! Palm Beach County’s only all-suite beachfront resort rises 20 stories above a beautiful, private stretch of palm-fringed sand on idyllic Singer Island. 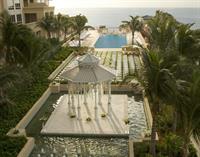 Welcome to the Palm Beach Marriott Singer Island Beach Resort & Spa. Enjoy spacious and stylish suites at the AAA Four-Diamond Palm Beach Marriott Singer Island Beach Resort & Spa – the ideal choice for family vacations, romantic getaways, and productive business events. Here, the décor is sleek and contemporary, in a palette that evokes the sand, sea and sky. Dining choices range from exceptional American regional cuisine to casual Caribbean fare. The award-winning SiSpa offers sea-inspired pampering, while boutique-style event space beautifully accommodates high-powered conferences, exquisite beach weddings, and sophisticated social events. Comfortably furnished outdoor spaces make the most of the Florida sun and sea breezes, inviting guests to relax poolside or gather for an evening of drinks and conversation by a fire pit – the perfect cap to a day exploring Florida’s famed Gold Coast. The resort’s 192 one- and two-bedroom guest suites provide ample space and are furnished for living, dining and sleeping in stylish comfort. Decorated in beach-inspired shades of cream, gold, blue and green, they feature fully equipped kitchens, washer and dryer, spacious bedroom and living room, generous windows for abundant light, and sliding glass doors that open to private balconies for sea breezes and breathtaking views. I-95 to PGA Blvd. East Continue east to Singer Island to 3800 North Ocean Drive.